Have you ever woken up late on a Monday morning, threw your clothes on, and dashed off to work? You quietly sneak into that early morning meeting dreading someone noticing your appearance is a dead give away that you just rolled out of bed. At last we have found the solution. The Morning Head shower cap allows you to look and feel fresh without having to take a shower on those mornings where time is tight. 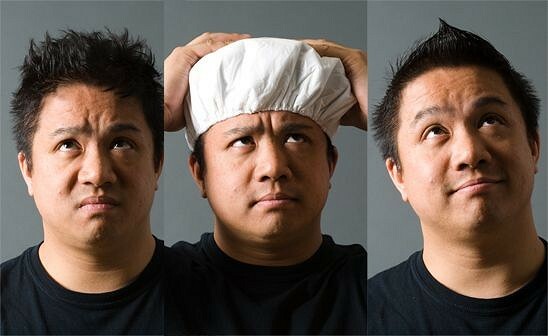 Morning Head is a reusable cap lined with a proprietary super-absorbent cloth allowing you to wet your hair in seconds. You simply add water to the interior of the cap, place it on your head, and rub it around. In about 5 seconds your hair is wet as if you just got out of the shower. You are then free to style your hair as you normally would. As long as you wring it out completely, each cap can be reused up to 30 times. While the product was originally developed for those emergency mornings when you forgot to set your alarm, it is also perfect for people who shower at night, and want to freshen up a bit in the morning. Say goodbye to bedhead and hello to fast and functional styling. Have you ever woken up late on a Monday morning, threw your clothes on, and dashed off to work? You quietly sneak into that early morning meeting dreading someone noticing your appearance is a dead give away that you just rolled out of bed. At last we have found the solution. The Morning Head shower cap allows you to look and feel fresh without having to take a shower on those mornings where time is tight. Morning Head is a reusable cap lined with a proprietary super-absorbent cloth allowing you to wet your hair in seconds. You simply add water to the interior of the cap, place it on your head, and rub it around. In about 5 seconds your hair is wet as if you just got out of the shower. You are then free to style your hair as you normally would. As long as you wring it out completely, each cap can be reused up to 30 times. While the product was originally developed for those emergency mornings when you forgot to set your alarm, it is also perfect for people who shower at night, and want to freshen up a bit in the morning.